Second-half tries from Alan O’Connor, Will Addison and Jacob Stockdale earned Ulster a 24-10 win over Leicester in their Heineken Champions Cup opener. 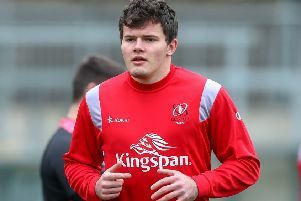 Ulster’s John Cooney kicked all three conversions and a penalty to complete the Irish province’s scoring in the Pool Four clash at Kingspan Stadium in Belfast. Ulster pushed for the bonus point score but were unable to get it. The four points was still enough for Ulster to top Pool Four on points difference from Racing 92, who they meet in Paris this Saturday evening.